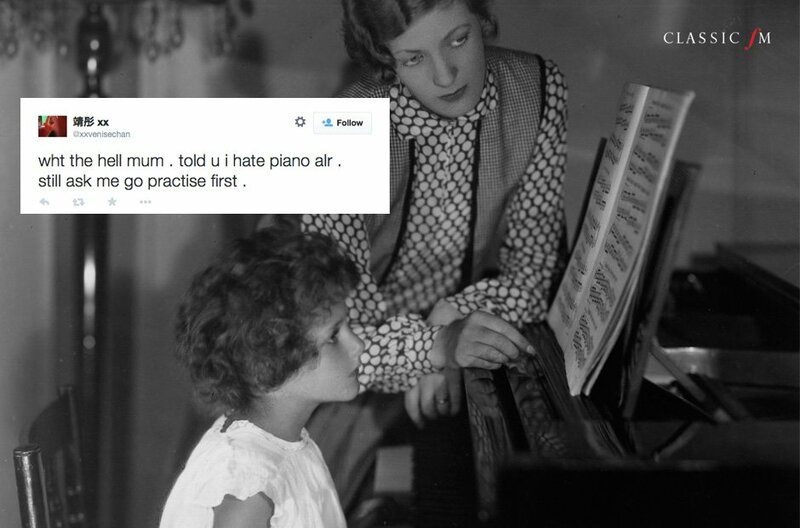 Piano practice is clearly not a favourite pastime. Here are 17 people who are having a right nightmare of it. 1. "Wht the hell mum"
2. "I don't want to"
3. "Ain't nobody got time for that"
4. "Please make the noise stop"
5. "I'm gonna screw up but heey"
6. "Sneezed on the keys"
8. "Lays on floor in hallway"
9. "THIS IS THE ABSOLUTE WORST"
11. "I didn't practise this week"
13. "I'll fail my exam"
16. "Freezing my fingers off"
17. "I fail my test"